Turns out, I think you’re pretty swell. I love your cute little chocolate body and your creamy frosting top. I also love the fact that you are already perfectly portioned so I don’t have to worry about the potential of consuming an entire chocolate cake by myself. Beautiful cupcake. Let’s stay together forever. I don’t know about you, but I use social gatherings as a pure excuse to bake something. Going to the neighbor’s house for dinner? Bring brownies. Headed to the new boyfriend’s house to watch a movie? Bring cookies. Going away party? Definitely cupcakes. While I’m not really a fan of actually hosting parties at my own house, I really love playing hostess at other people’s. I used a pretty standard chocolate cupcake recipe for these today—my inspiration was actually these vegan cupcakes but I de-veganized them a plethora of buttermilk. The end result was a light, springy chocolate cupcake. I love these because they aren’t terribly sweet so they make perfect vehicles for delicious billowy frosting, which is the best part anyway, right? Speaking of frosting, after digging deep into the depths of my freezer, I realized I had leftover Brown Sugar Italian Buttercream from when I made Almanzo birthday cupcakes back in April. Friends, always always ALWAYS make extra frosting and freeze it. All you have to do is thaw then you can re-whip it and it’s just like new! I love frosting so much. I want to just fill a swimming pool with it and bask to my heart’s content. Sorry, is that too much information? This frosting hails straight from the bible and is the most utterly delicious thing you could ever put in your face. I’m sorry but it just is. 3 sticks butter. Yes, three sticks. Bring the sugar and the water to a boil over medium heat, brushing down the sides of the pot with a wet pastry brush as needed. AS SOON AS the sugar syrup starts to boil, start beating your egg whites with an electric mixer. Add your lemon juice and beat until the whites hold soft peaks. While that’s going, make sure to keep an eye on your sugar syrup. Let it come to 238-242 degrees (using a candy thermometer). Once it’s there, immediately drizzle the hot syrup into the egg whites as they are beating. Continue to beat for another six minutes so the meringue has time to cool down a little. Once the bottom of the bowl doesn’t scald your hand anymore, start adding the butter in very small pieces (mixer is still going at this point). Add the butter, small chunk by small chunk, slowly until you have successfully tossed in all three sticks. Continue beating buttercream for another five minutes or so (add vanilla extract now) until it’s light and fluffy. It’s quite the process (and quite the amount of butter!) but you won’t regret it. There’s just something about homemade frosting that takes cakes and cupcakes to a whole new level and straight out of the ballpark. You can find candy thermometers at kitchen supply stores, but I think I just used a regular ol’ cooking thermometer that I got for six dollars at Safeway. Cupcake recipe to follow—I have a party to attend! i had no idea that frosting is freezable! my baking life will never be the same. i am now cupcake capable. thank you! 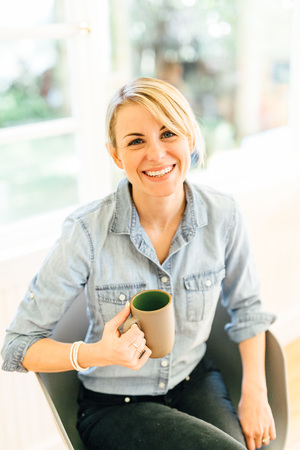 i’ve been an avid reader for seriously like ever, i’ve always found your blog to be very real, and that’s why i love it ( : lately i’ve noticed that your recipes have been very rich. i was wondering if you would consider posting some lighter/healthier recipes in the future? because i love your writing style & personality ( : it would just be nice to see something that doesn’t have a lot of butter in it everytime…just a suggestion. but anyhow, i still read you & support you ( : i don’t know how other people feel, just giving you my honest opinion. You are a baking goddess. I can’t believe you made thawed frosting look picture perfect. Have fun at the party, Jenna! Cupcakes steal my heart. You have had some awesome posts recently, nice work!! OH and cute hair!! I think you mentioned how you used to be brunette, and I just did the same thing… went from 20 years of brunette to light blonde. I’m loving it!! That buttercream frosting looks so darn amazing! So do the cupcakes! Holly butter, wow. But I do love your packaging and I want that ribbon soooo bad. I am with you on the frosting. It is my best friend. Yes, perfect portions…but I don’t get portions? I remember even Ellen Degeneres once talking about the Jello Pudding Cups on her show and how they’re portioned at 100 cals or something. But, she said, “yeah, I finish one and then go back and finish the other 5…it’s not like it’s not right there ready to eat!” 😉 Love Ellen. i wish i could dig into my freezer and pull out buttercream! I am 100% endorsing your love affair with butter cream. Life is too short to not have the good stuff! Is it weird that I would be perfectly content eating this sans cupcake for dessert. By the spoonful is okay…right? Wow you’ve done a total 360 to your blog. I really miss your healthy eats and smoothies. I’m seeing too much sweets, brownies, chocolate….you get my drift. Everything you show are high in fat, calories and sugar. You’ve really ditched the healthy eating. I totally agree with you I am always satisfied with 1 cupcake. 1 piece of cake? Not so much. 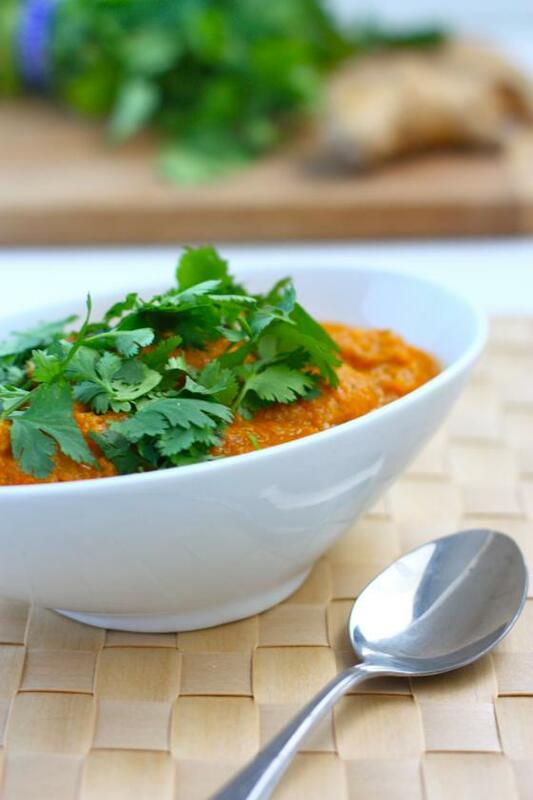 Thanks for sharing your love of delish food! Your cupcakes look amazing. I have to say I love the new look and also the new focus on your blog. I have been reading your blog for months but rarely comment. I have to say that it really does seem like you have a healthy balance of eating, blogging, and living your life. Too many blogs seem to be obsessed with documenting every little thing about their lives. While that can be entertaining to read/watch, it’s refreshing that your blog isn’t that way. I just got back from a house warming party where mini carrot cupcakes were served with the obligatory frosting. They were insanely delicious (this lady bakes like none other) but I had to eat about 8 to feel like I was getting my fair share of deliciousness. Sigh. Oh, droooool… looks so good! I am far too lazy to make this though… well now I’m not sure. I might have to. I agree with Jasmine, I prefer the cake over the frosting! oh, those are beautiful. and i had no idea buttercream was freezable! it’s 8 am and i am going running, and my run will end at the supermarket where i am buying the ingredients for this deliciousness. 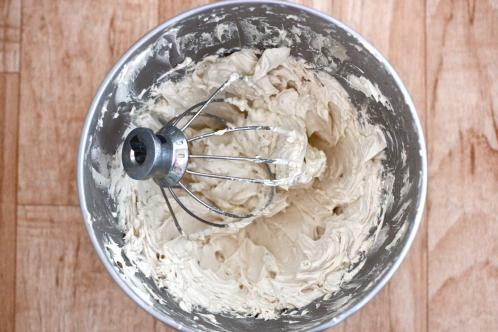 There is nothing better than homemade frosting! Yours looks so yummy! I want to bathe in buttercream. To the naysayers about the cupcakes – I totally get where your coming from, don’t want to start anything LOL – BUT, she’s going to a party…and she’s talking about eating A cupcake…? Hope Rocky has a great year back in college! You sent him off with a great party! I will have to try this frosting! It really does look like it tastes divine! And knowing I can freeze half for another time certainly makes it worth the work! I’m with you that the frosting is the best part! I may have to venture outside of my frosting in a tub comfort zone and try to make it myself! umm, yum! Those look delicious. Cute lookin’ cupcake there! 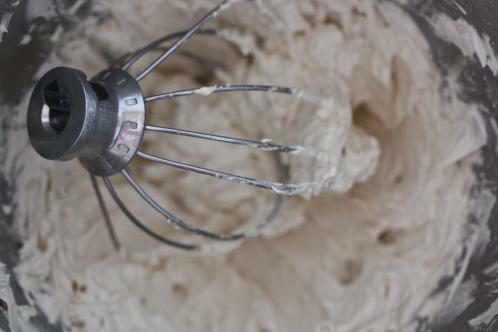 Do you use a simmering water bath to re-whip your buttercream? I think that’s the easiest way to dethaw it. 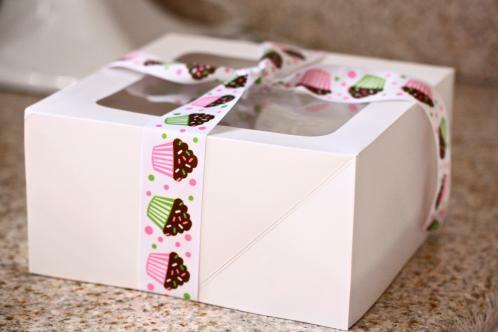 not sure which is better the cupcake or the pretty box with the bow, presentation is everything, right? That frosting looked divine. 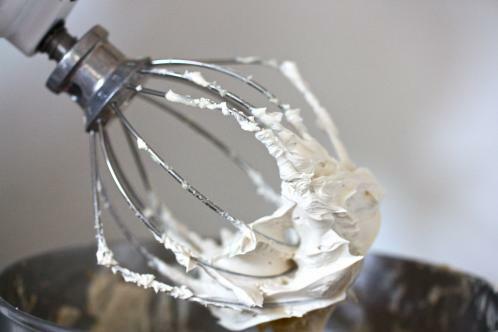 Mmmm buttercream frosting. Just looking at those puts me in a self imposed sugar coma. Those look absolutely fantastic. Almost makes me forget that I’m not a fan of chocolate cake! Oh yes please! 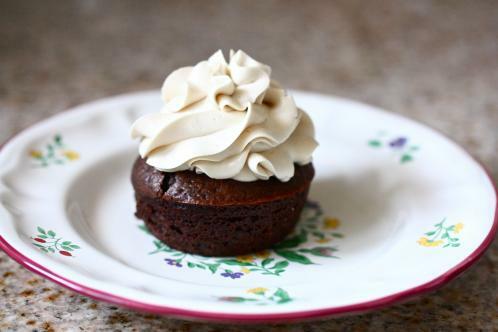 Love the brown sugar idea…perfect with that little chocolate cupcake! OMG! Thank you for posting the recipe. My copy of “the bible” is from 1963, and while it has about 7 different butter cream recipes, Italian brown sugar isn’t one of them. I *love* brown sugar frostings! The one and only pic at the top just Melts My Heart! Wow. How lucky your friends are to have you. I am the same- Always thinkin of what to make for any occassion (big or small) my neigbors love it. 🙂 I could swim in some frosting too. This makes me wish I had a mixture so I too could be the buttercream frosting queen. Oops I meant mixer, not mixture. I blame the iPad keyboard. I think people that scoff at the amount of butter in buttercream are over doing it a bit. I mean…it’s called butter_cream, clearly there is gonna be a lot of butter in it! You only live once 🙂 Unless you’re eating cupcakes non-stop everyday, it’s fine to indulge once in a while, especially if you’re active! These look great, Jenna! Good frosting to cupcake ratio. 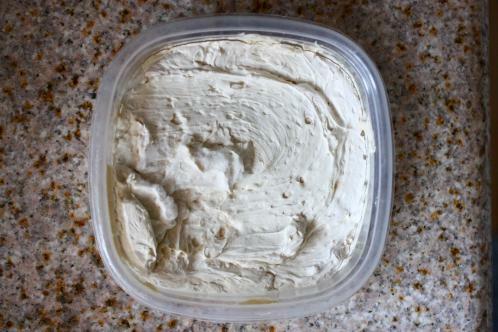 I made Italian Buttercream Icing in baking 101 over the summer, with white sugar. If I were to use the dark brown sugar could I add food coloring to make a light pastel green. I’m going to make these cupcakes for my friends baby shower. I was thinking about using a number 20 tip for the fluffy look. What tip did you use on these? Do you use cold or room-temp butter in buttercream? Thanks! 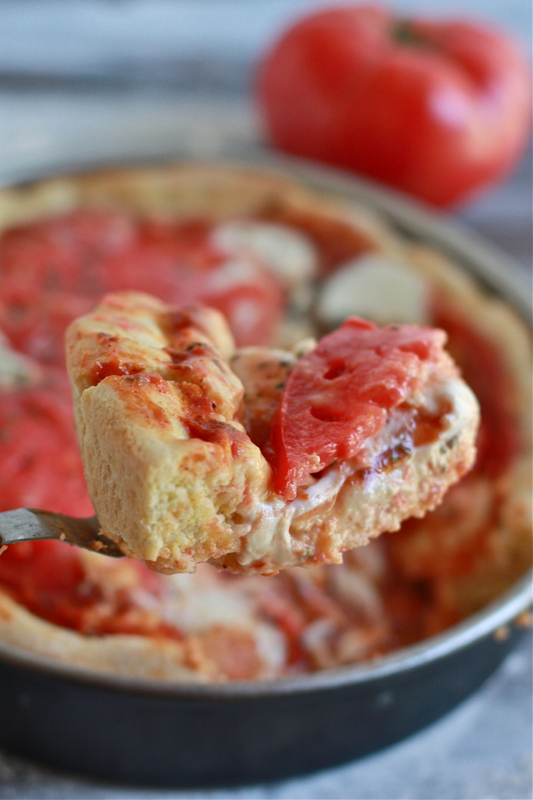 Must, must, must make this soon!! I LOVE buttercream frosting! Spoon + Frosting = Happy Girl! You inspired me to make this icing and I did tonight and loved it. I had high expectations from your review and was not dissapointed! I was actually surprised the process is not nearly as hard as it sounds either. Just takes some mixing time. Love the new style of the blog! BOOKMARKED. 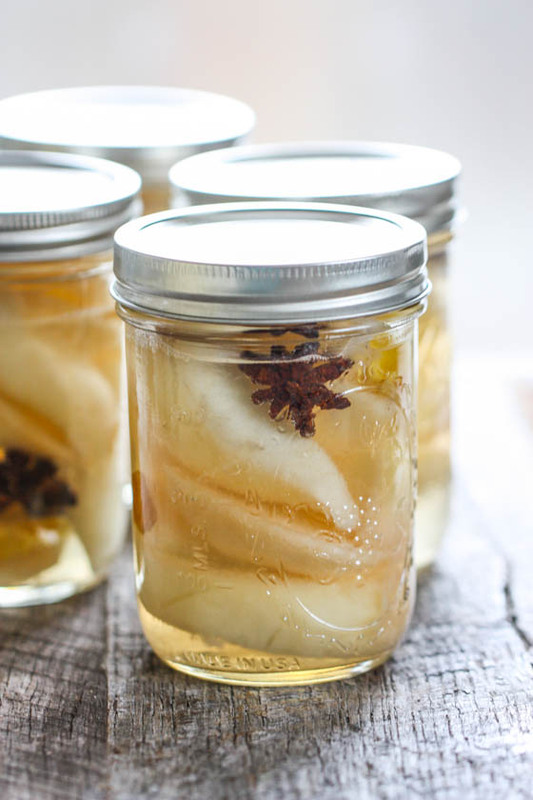 You are my go-to for dessert recipes! So help! I just tried to make the frosting. Everything was going perfect until I started to add the butter. Then it went very flat and turned into MUSH! I used butter that was room temp does that matter? I’m so sad it didn’t turn out! plz help if u can..
you have to add the butter very slowly and when you do, it WILL look flat and like watery mush but you just have to keep on beating for about six more minutes and it will come back together. Trust me—It will look awful but you have to keep the kichenaid on high and wait it out..
uhg.. ok so i threw it out and ill have to try again next time! i was going to try it over but i just wasnt sure what i was doing wrong so i just threw together some cream cheese frosting. bla… i will be working on making the perfect buttercream soon though! 🙂 thanks for your help!!!! thank you for the chime-in, jenna! this totally saved me! about 1/3 of the way through adding the butter, i thought to myself “this doesn’t look right…” but i kept beating and oh.my.gosh. So I made this recipe and it didn’t seem to turn out quite right. The first time I pulled the beater out of the bowl after mixing for a while, there were little white stringy things wound around it. As best I can tell, it’s pieces of egg that got cooked from adding the hot sugar mixture. Is it better to wait for the sugar to cool down a little first? Have you heard of this happening? I’m pretty bummed as it tastes pretty good and it ended up thickening up well. Also, mine seems like it’s darker than yours, or that could just be the different lighting in the picture. Mine turned out more of a carmely color…. Is that wrong? Color difference is probably just how hot/caramalized you got the sugar on the stovetop. (I make caramel and each batch will be slightly different.) I wouldnt’ worry about it. Mine turned out looking about the color of chocolate chip cookie dough before you bake it. You have to add the sugar SLOWLY to avoid cooking your eggs (its called tempering). I just poured a constant, slow drizzle from the hot pan into the egg bowl while they were on medium-high speed, and slowly poured all of the sugar in until it was gone. I probably took a full minute to pour the sugar in. Do you know the size of one butter stick? I have had bad experiences in the past using what I thought was one butter stick when the recipe really meant something completely difference – oops! Hi! I’m planning on using this recipe for a 3 layer red velvet cake and was wondering if it was enough frosting for 3 layers?? MMMm it looks so delicious, though I’ll have to run out and get a candy thermometer to make it! Just a word of warning: my hubby and I made this recipe tonight and while it turned out just fine, it was not tasty at all. I don’t mind rich and buttery but this tasted just like straight up whipped butter. If we make this in the future we will use just one or two sticks. I completely agree. I was so excited about this recipe, but it just turned out gross- like slimy, fluffy butter and it didn’t taste at all like brown sugar. The texture was great (light, airy and delicate) and the recipe worked exactly as written, but it just has WAY, way too much butter. I’m going to try it again with only 1 stick of butter and see if that helps. Jenna, love your recipes. Made this frosting last night – one thing I might mention is that I don’t beleive your recipe mentions where to add the salt and vanilla. I pulled out *the Bible* (Gormet cookbook bought on your recommendation) and found where to add them. I tasted the frosting w/out the vanilla and salt, and I could see where Courtney thought it might be a little “blah”. But….the vanilla made a huge difference. I know the salt (which I was too apprehensive to add at the end) would have also helped. Thanks for all of the great recipes. I’m working my way through them all and love them! 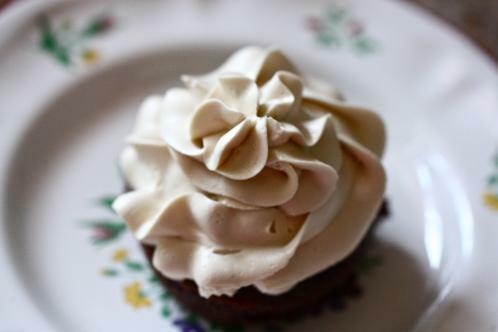 I hardly ever make frosting from scratch, but cupcake-making is the fad and I want to get fancy so in my search for a buttercream frosting recipe I came across this one. Now, I am not a big frosting person (too sweet), but I LOVE brown sugar. I am so excited to try this! I am starting to make it right now! Thanks! 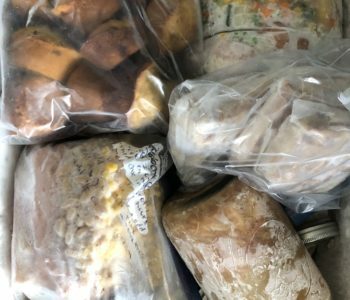 Do you need to keep them in the fridge? can you add coloring to the frosting.. say pink? I made these cupcakes, following your recipes exactly. Who knew vegan cupcakes could be that tasty? My taste testers never knew the difference, and were swooning over the cupcakes! As a side note, my icing also ended up tasting like whipped butter. I added maple flavoring, as well as a bit of 10x powder to stiffen the icing, and it was perfect. I can’t wait to try more of your recipes! 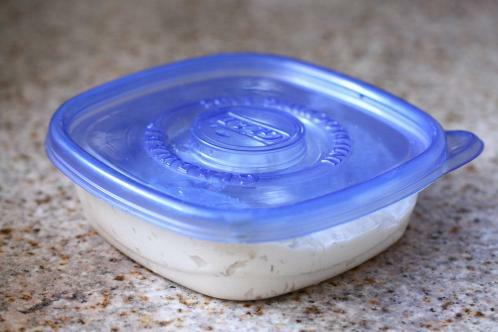 I JUST made this recipe to share with everyone at work tomorrow, and it’s incredible! I can’t tell you how happy I was to find a frosting recipe that doesn’t contain powdered sugar (it always leaves a chemical/soapy taste to me), as well as one that wasn’t so sweet it makes your teeth ache! This is a recipe I will definitely be coming back to in the future! Thanks for sharing! Can I use light brown sugar instead? Sorry I meant to write it collapsed when I added the butter n wrote sugar syrup instead!!! Sorry !!!!! This is the worst buttercream recipe I have EVER had! Ugh….yuck. Definitely not making this again. I actually threw my cupcakes that I had already frosted in the trash.